If you hope to inspire your little ones with your own globetrotting antics, it is good to get them to understand that cultural differences exist and expand their knowledge of language. We have found a travel app aimed at children 4 and over that is simple, fun and promises to broaden their horizons. What is Homes by Tinybop? It is an app that allows children to explore four very different locations and discover the homes, climate, culture, language and geography of that area. The way the “game” works is great too. There are no rules or levels, instead curiosity is rewarded with more interactive animations. • Twenty rooms in four interactive homes to explore: a brownstone in Brooklyn, a ger in Mongolia, an adobe in Guatemala and a tower house in Yemen. • Customise each home while you explore, and see yourself in the mirrors. • Investigate the utilities of the property, its construction and surroundings. 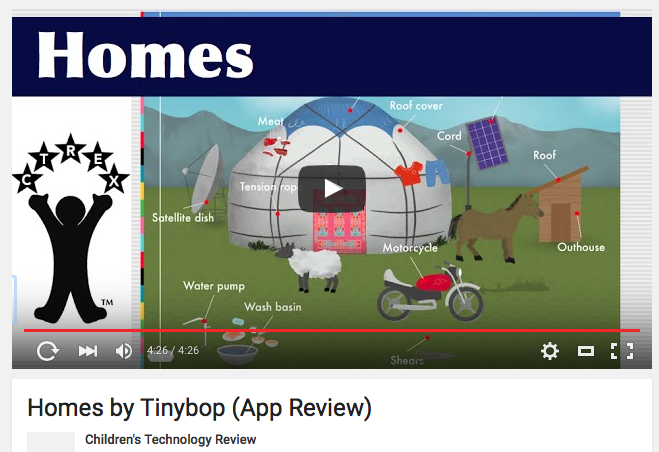 Homes by Tinybop is potentially just as appealing to curious adults as it is to children! It comes with a virtual handbook which provides information about each type of home and the location of the dwelling, and with the click of a button the items on screen can be changed to display words from 50+ languages. Reviews of Homes by Tinybop hit the 5 star mark, as you can see below, but to get a closer look at what the app can do before you buy, check out the The Children’s Technology Review of the app on YouTube. Love this simple, exploratory look at different cultures and ways of life around the world. Sparked a lot of great questions from my two little ones. So many fun little details. The call to prayer in the Yemen scene. Very cool. Bravo! Such a great way to introduce my kids to the idea of travel and experiencing different ways of life! Requires iOS 7.0 or later. Compatible with iPhone, iPad, and iPod touch. Download from iTunes for £2.99. Or discover more at TinyBop.com. This entry was posted in travel apps on November 27, 2015 by worldwideinsure.